By Xah Lee. Date: 2011-05-29 . Last updated: 2018-11-28 . 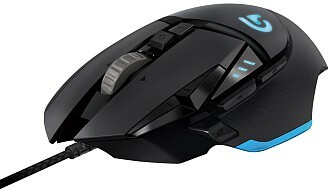 Logitech came up with mouse wheel that spins freely. Its wheel has 2 modes. Notched vs Free-spin. There's a button below the wheel that lets you toggle the mode. Logitech calls it Hyper Wheel. When you have long document. e.g. reddit, twitter, facebook, spreadsheet. when viewing a page with lots images, spin wheel can position the image without parts of it hidden at top or bottom. Spinning is extremely useful when you don't have accelerated scroll. If you have accelerated scroll, you can scroll a long page by just a few fast flicks. And you can comfortably control the rate to stop at any position of the page. If you don't have accelerated scroll. You have to push the wheel some 30 times, or move hand to keyboard and use Page Up Page Down keys. Using page keys jump by screenful, then you have to use arrow keys to position it, or back to scroll wheel. Which OS Have System-Wide Accelerated Scroll? 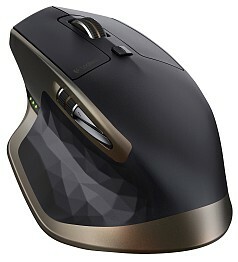 On Microsoft Windows, if you buy a Microsoft mouse, it has accelerated scroll. On Mac, it has accelerated scroll by default. On Linux, no system-wide accelerated scroll. So, if you are on Linux, then the free-spin wheel becomes very useful. Linux: No Accelerated Scroll and No Autoscroll! On Linux, there's no system-wide mouse wheel acceleration. It's app-dependent, and very few apps implements that. Worse, in Firefox or Google Chrome, there's no “autoscroll” feature. Without accelerated scroll, you can work around with autoscroll. That is, press middle button, then move mouse to pan-scroll. The rate is dependent on your mouse position. You can turn this on in Firefox, but not in Google Chrome.